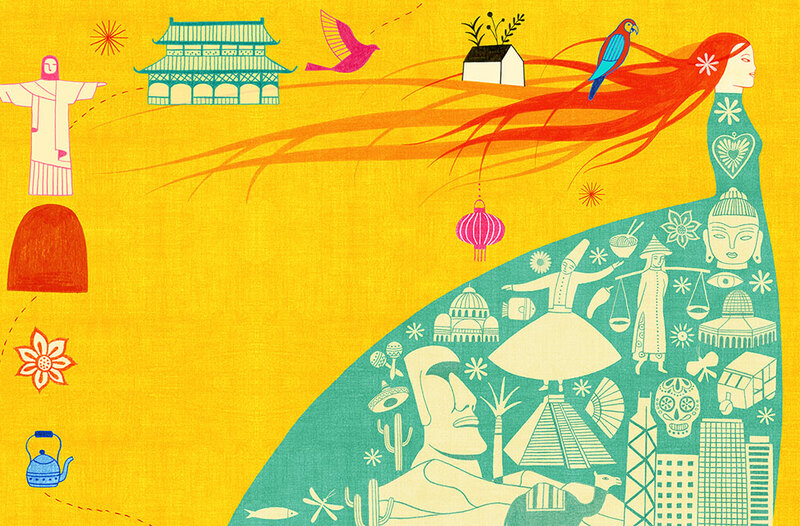 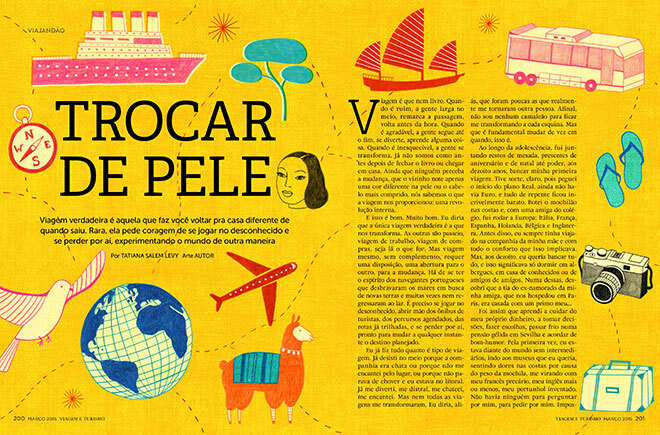 These 2 spreads are for an article talking about traveling, for Viagem e Turismo Magazine. The title “Trocar de pele” Changing skin, makes allusion to these travels that change you inside. 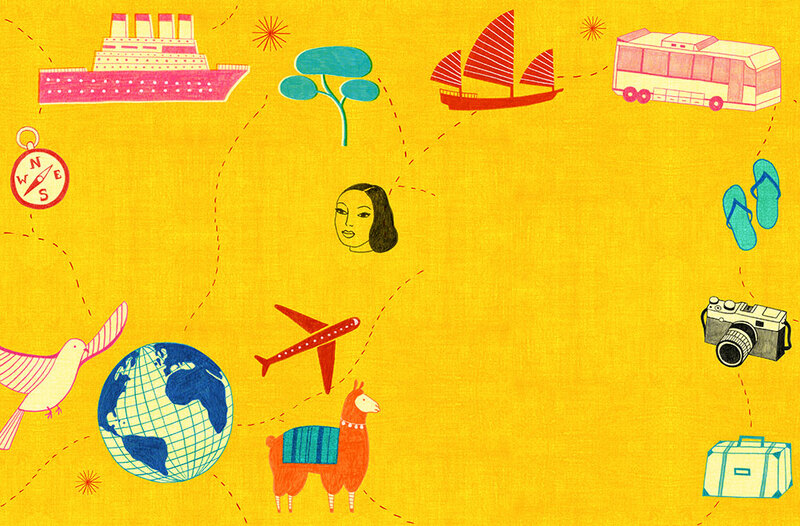 Actually you go back home different from when you left.